This kit contains spare pads, pick ups, brushes, seals, weights and other accessories for the Dapol OO/HO Gauge Track cleaner. 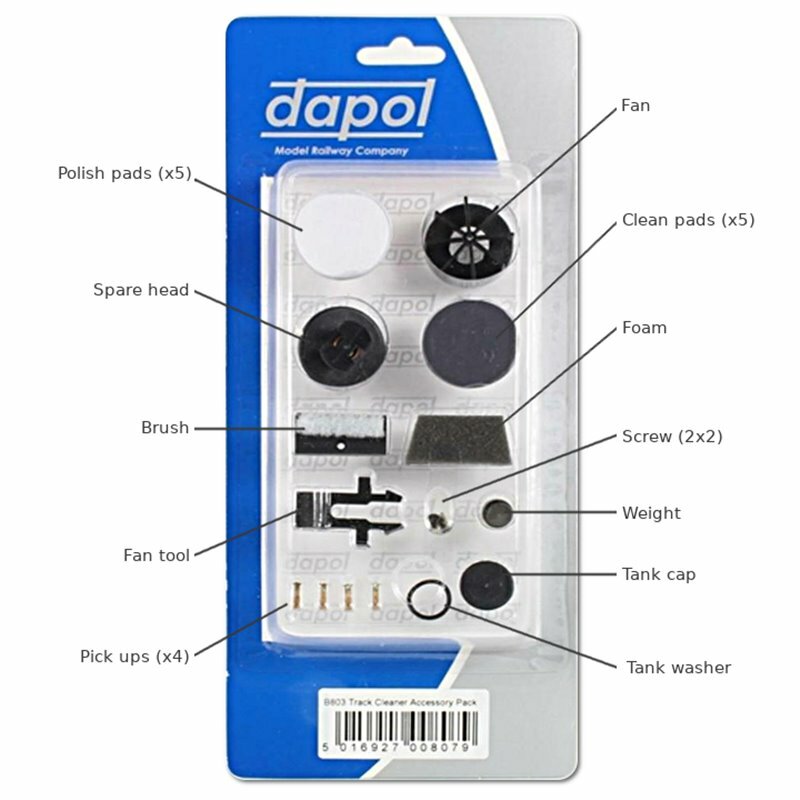 This pack contains replacement parts for the Dapol B800 Track Cleaner. 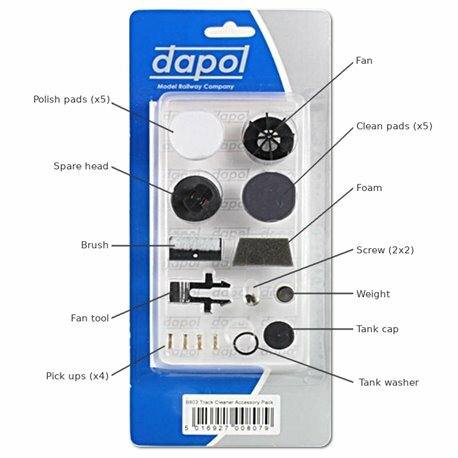 Included are replacement rotating heads, replacement washers and seals for the vacuum system, replacemen vacuum fan, replacement foam pad, weights, and other bits.